In the last post I covered skincare and priming/prepping, this time we'll cover your face with foundation and concealers! 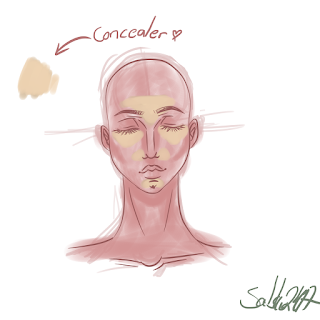 o/ Now choosing foundation can be a bit difficult at times, I sure do remember my first ones being too dark for me and had the wrong base pigment to it... Oh the horror.. The beginners today are so spoiled! You have YouTube, Instagram and all other social medias filled with makeup gurus! 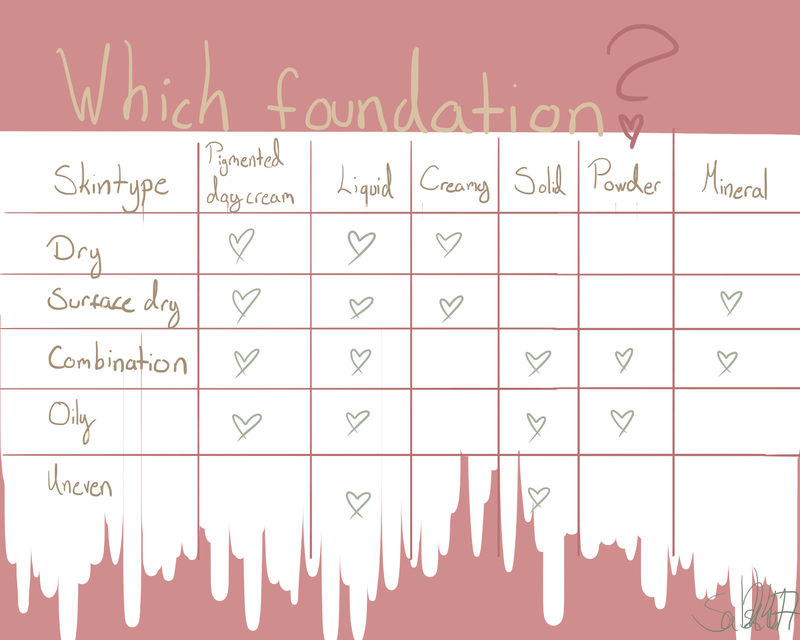 Anyways, here's my guide to foundation, concealing and powdering. Define your skintone - You can get an idea about your skins base pigment by looking at your veins from your wrist. Veins come out as green if your pigment is yellow based, and purple if your base is pink. At store when you're looking at foundation that would fit you, take a couple of foundation testers and try them out on your jawline and you'll see which fits the best on your skin as a whole. 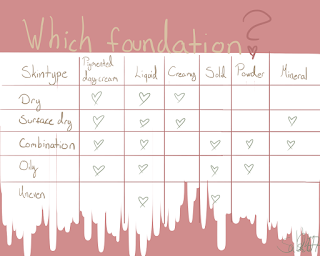 Foundation - When applying foundation, start from the center of your face and work it outwards. This will help you keep it faded so you don't have to worry about the obvious line of foundation on your jawline. As an applicator you can use makeup sponges, foundation brush or beauty blender. It's the matter of taste. You can also use your own hands, as long as you wash them first. Personally I prefer beauty blender. I do use brush sometimes too, but when I have flakes on my face, with brush they tend to go up because I use swiping motions. With beauty blender however this won't be a problem since you want to use dabbing hehe motions, that pats the flakes down. I used to use sponges when I started using makeup, but they take so much product on them. Usually if I use sponges now, I use them to take excess makeup off if I used too much. 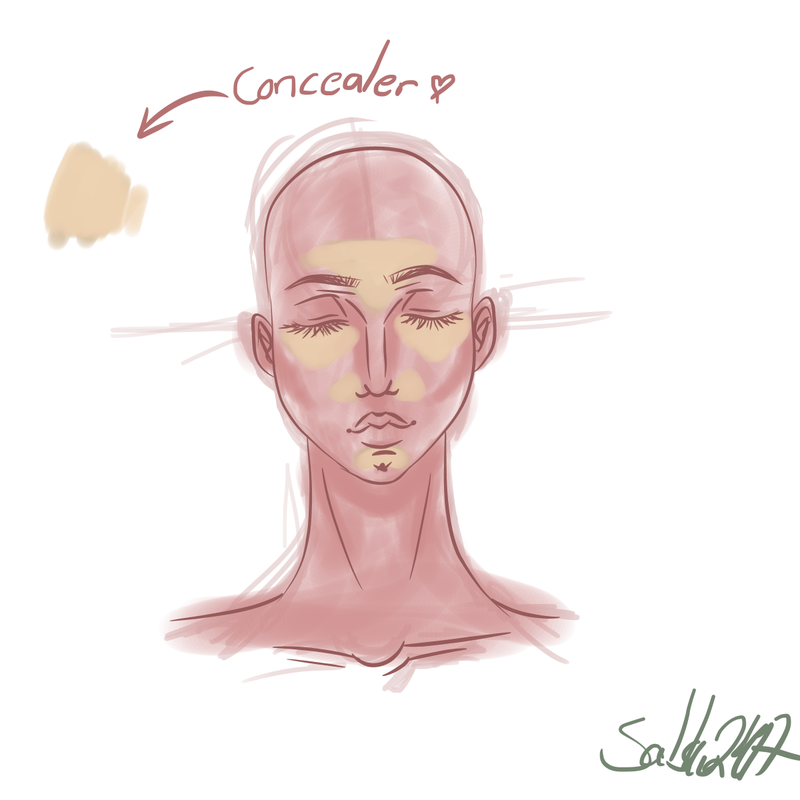 Concealer - You want to conceal under your eyes to cover dark circles and brighten everything up. As well as around your nose since that area tends have redness going on, above your eyebrows to make them pop more and your chin to reduce redness and shadowing. 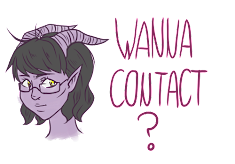 Also you can use it to cover zits. Liquid concealers come with an applicator, but if you use a pencil or a stick, just apply it directly from the stick/whatnot or take a small synthetic brush and add it with that. After you're done with that, blend it with your foundation brush/beauty blender/sponge/fingers. Powder - Set and seal the whole thing with powder. You can use a brush or a powder puff or a beauty blender. Usually I start from the places I've concealed (starting under eyes) by using a beauty blender and really set the whole face with a brush. In my opinion it gives the softest results without it looking cakey. 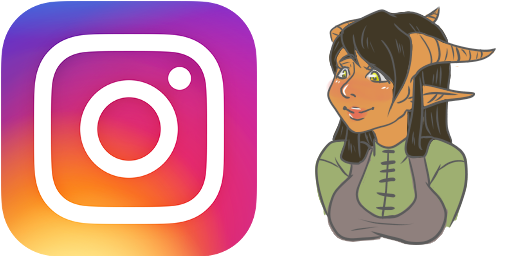 This was it for now, hopefully you found this helpful. Next time it would be eye makeup/eyebrows, so stay tooned! Thank you so much and please keep update like this informative details.